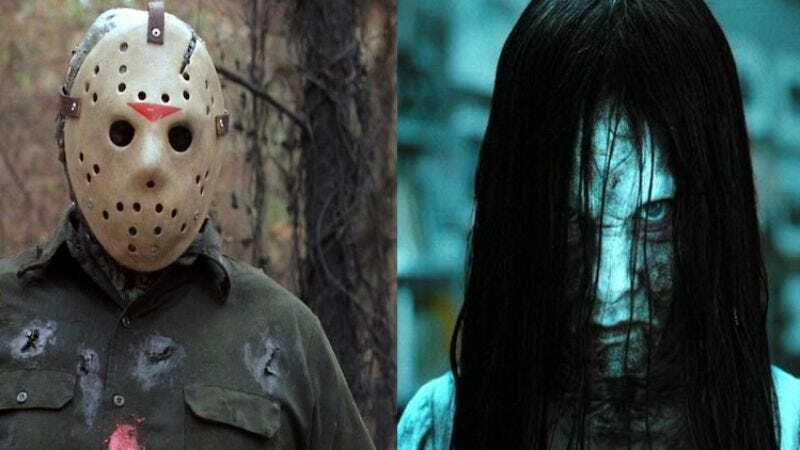 In a move that sounds like a really good direction to build toward, Paramount has announced that it’s pushing back the release dates for the reboot of the 2009 remake of Friday The 13th, and a third film in the American Ring franchise. Rings—a sequel to one pretty good horror movie and one pretty awful one, starring The Big Bang Theory’s Johnny Galecki— will move back from November 13, 2015, to April 1, 2016, while the new Friday The 13th movie will shift from May 13, 2016, to January 13, 2017. Paramount says the length of the 8-month shift for Friday is due to the necessity of releasing the film on a Friday the 13th, lest the ancient prophecy binding the franchise (“Lo, when idiots die on mournful day, with arrow twixt Kevin Bacon’s gasping throat…”) be defied. The studio didn’t give a reason for moving Rings to April Fool’s Day 2016, but we guess there aren’t many pranks more surprising than a long-haired ghost girl popping out of your TV to give you a hug. Anyway, the upshot of this is that we’ve all successfully moved a little further away from a pair of horror movie sequels being released, the sort of news that pretty much demands a resigned sigh of relief, and happy speculation about the world possibly ending before the now more-distant dates arrive.